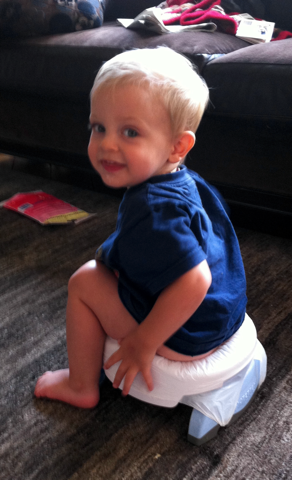 This stage you child has now been voiding in a diaper for a significant amount of time. This will mean it can take a bit longer for them to feel comfortable voiding in a toilet or even noticing that they are eliminating at all. Don’t forget to cue when you notice her voiding!